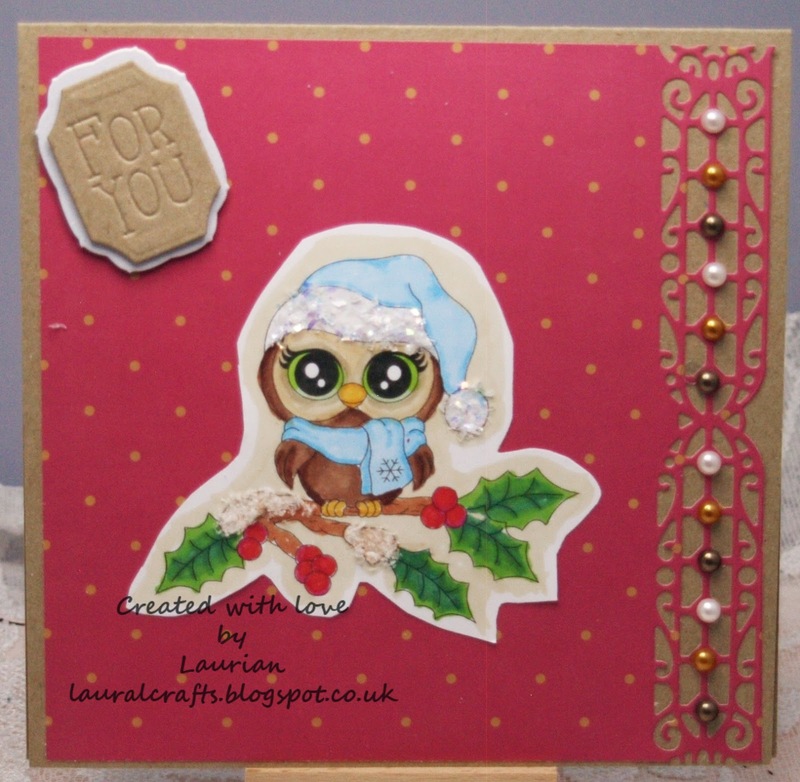 Outside the Box: Owlways Christmas! We have a great new challenge for you over at Penny's Paper Crafty this week, we would love to see your projects with Polka Dots and Pearls! The image is coloured with Copics and Promarkers and I used some Cosmic Shimmer flakes for the trim on the hat. I got some fab new dies last week and really enjoyed playing with them! We'd love to see you come over and join in this new challenge - see you there! I Know How She Feels! I've Got That Vintage Feeling!